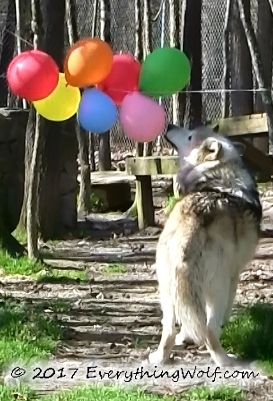 We had a fun celebration with the Wolves for their combined birthdays. They are all considered seniors now so the parties aren’t as lively as they used to be. Everyone was afraid of the balloons this time except for Woha and even she was not too happy with them. Poor Wa-ta-chee hid out in the den for the whole party. 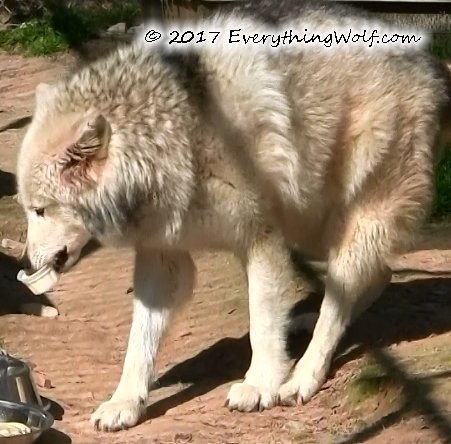 Caretaker Don crawled in the den with a pan of food for him, though. They had Liver Treats from Jillian and Waya! 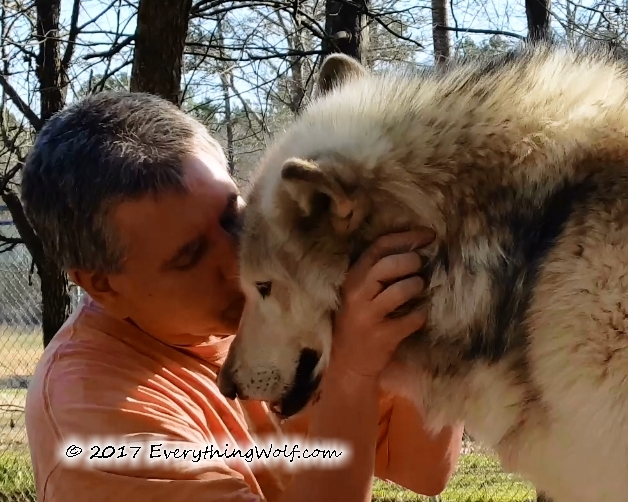 Thanks, Jillian you are a howling good Wolf Mama! They also had a new taste experience, cheeseburgers which they seemed to enjoy and of course ice cream. We skipped the cake this time as they really don’t eat it and just get it all over their fur when they roll on it. 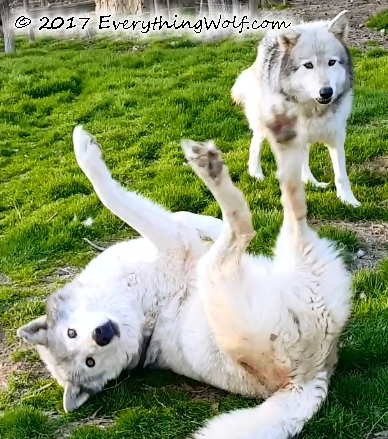 Enjoy the video below of their party. We had our Vet here. Niko Akni has had one swollen testicle. During the winter breeding season, it is common to see the males testicles enlarge greatly. The concerning part is that it is just one. We don’t feel any lumps on it which is good. The Vet would like to see if it will subside on its own in a month. After, that time we will discuss with him if anything needs to be done. The good news is he’s acting just fine. He’s running, jumping up on the den and generally being bossy. All the Wolves are eating well and howling. They are blowing their undercoats. We help them by combing it out which they seem to enjoy. 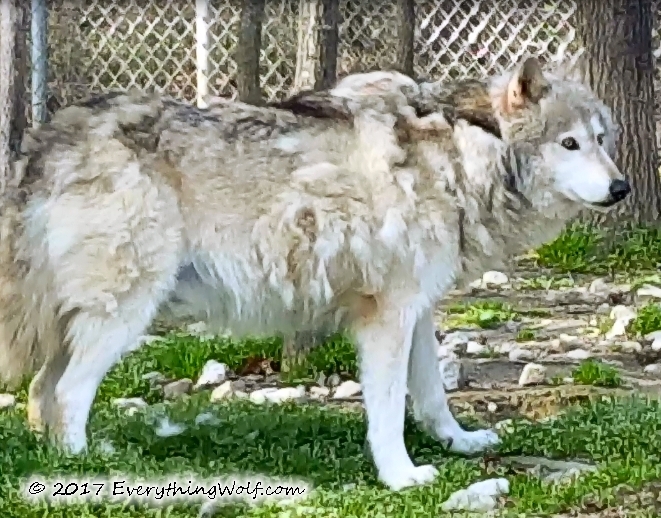 I recently put up a video on our facebook page of Woha getting combed so be sure to check it out.